Our personalized Celebration Bibles capture the uniqueness of your loved one’s life and relationships told through the stories and memories of family and friends. This treasured keepsake captures your loved one’s stories, honoring their life experiences and relationships while providing healing to all who participate and remembrance throughout the years. 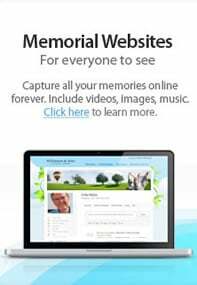 Personalized content before scripture; stories, memories, pictures, poems, songs and prayers submitted by family and friends. Honor and share your loved one’s legacy for generations.